For decades, long-acting reversible contraception (LARC) devices have been used very successfully and safely in adult women. They can be used as a method of contraception, and/or as a way to control menstrual irregularities. It has more recently been used in adolescents with similar results, and is backed by both the American College of Obstetricians and Gynecologists and the American Academy of Pediatrics. It is important for adolescents to understand all of their options regarding their contraceptive decisions, as well as ways to help relieve painful and unpredictable periods. LARCs provide effective contraception for an extended time period without requiring any further action once they are placed. They include intrauterine devices (IUDs) and implantable subdermal rods. There are three different types of IUDs available in the US currently, and these devices last between 3-10 years. Advantages include: cost-effectiveness, long-lasting, safe, convenient, and are well-liked by patients. All are placed in an office setting both quickly and with minimal discomfort. Although they are effective for years, they can be removed easily at any time. Studies have shown that out of all of the reversible contraceptive options, they have the lowest pregnancy rates (less than 1% per year), as well as highest rates of satisfaction among patients. And while LARCS have the highest rates of satisfaction, only 5% of US teens report using them. Not only are LARC methods some of the best options for birth control, they can also be used successfully to treat painful periods in the adolescent population. It is quite common for adolescents to experience heavy, painful, and irregular menstrual cycles. Because of the pain and discomfort, it often means adolescents miss school and experience disruption in normal daily activities. Clinically, it can create medical conditions such as anemia. When over-the-counter pain meds fail to alleviate menstrual-associated pain, a medical provider will usually initiate birth control to decrease the severity of bleeding and pain. Often, their first choice is oral contraceptive pills ("the pill"). And while this is a great first step, it may be difficult for adolescents to remember to take their pill every day (some oral contraceptives even requiring at the same time every day). Another reason one might choose a LARC over an oral contraceptive pill, patch, or ring is that the LARCs have fewer serious risks associated with them. The pills, patch, and ring are made up of two hormones: progesterone and estrogen. The estrogen component may increase the chance of serious complications, such as stroke or blood clots in the legs or lungs. And while there is a very low chance these complications occur in a healthy adolescent, the risks are still there. The Skyla and Mirena IUDs as well as the Nexplanon implant are made up of only progesterone, a hormone that is not associated with an increased risk of stroke or blood clots. The copper IUD is hormone-free, and while it lasts for 10 years and is an excellent contraceptive option, it will not have any effect on menstruation. 1. Do IUDs increase an adolescent’s risk of infertility? No. Return to baseline fertility returns rapidly after the removal of an IUD. This similarly applies to the implant. 2. Should adolescents be screened for STIs (Sexually Transmitted Infections) at the time of IUD insertion? Yes; since women aged 15-19 have high rates of chlamydia and gonorrhea compared to other age groups, all adolescents should be screened for STIs at the time of or before IUD insertion. 3. Will the IUDs or implants cause bleeding pattern changes? Yes; you can expect changes in menstrual bleeding, especially in the first few months after insertion. However, in women using the Mirena or Skyla IUD or implant, there is an expected decrease in bleeding over time that will lead to either light bleeding, spotting, or amenorrhea (absence of menstruation). 4. Do the LARCS have an effect on weight gain? Currently, there are no studies concluding that LARC devices cause weight gain. Although some people do discontinue these devices for reported weight gain, there is no solid evidence of this relationship. 5. Will the procedure be painful? You might have some discomfort during the insertion of the IUD or implant. If you choose the implant, the skin will be injected with local anesthetic, so the remainder of the procedure should be painless. If you're having an IUD inserted, you will take medication the evening before to make the device easier to insert, and you can also take OTC analgesics an hour prior to the procedure. Although you might have some discomfort with insertion, this should only last for a few minutes. There are many great options for both birth control and controlling menstrual irregularities. LARCs are a successful and safe option for both adult women and adolescents. It is important to discuss the different options with your medical provider in order to choose the method that's best for you. 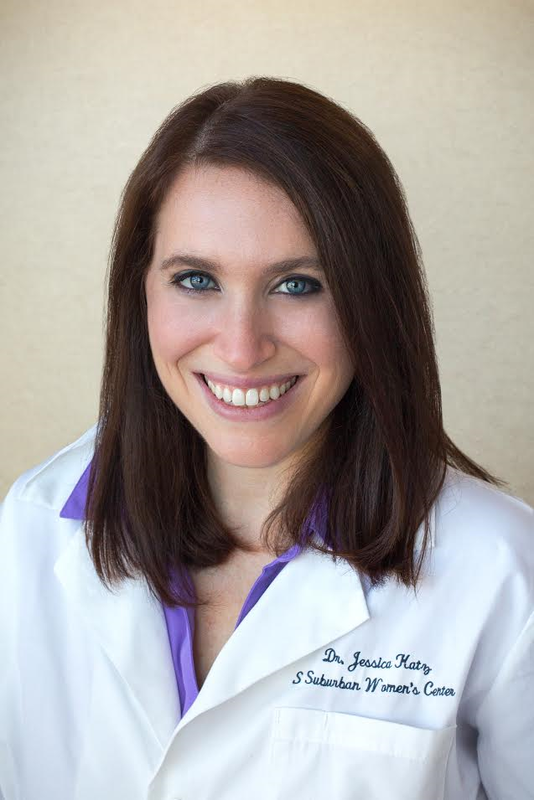 Dr. Jessica Katz is a private practice OBGYN at South Suburban Women's Center, serving the Greater Cleveland community. She completed her residency at Mount Sinai Hospital in Chicago, Illinois. Dr. Jessica lives with her husband, son, and Labrador. She enjoys cooking, being active in the community, binge watching shows on Netflix, and anything related to Cleveland sports.